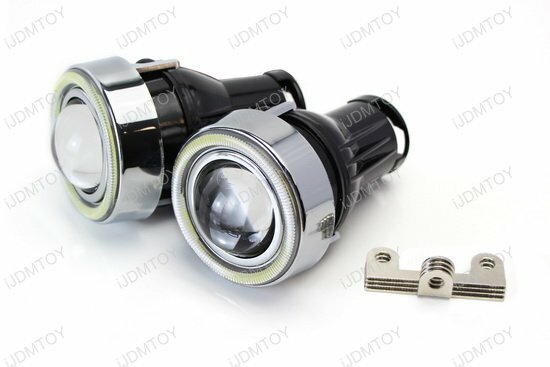 Q: Will these LED fog lamp assemblies fit my car? 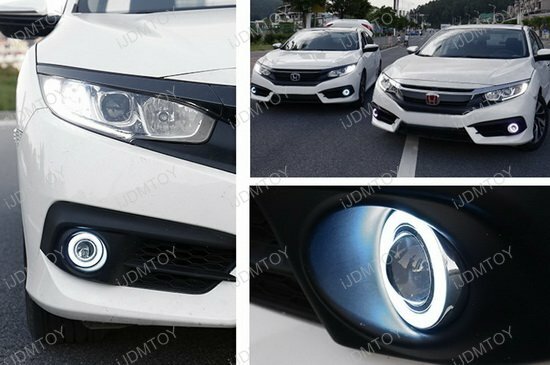 A: These projector fog lamps will fit the 2016-up Honda Civic sedan and coupe, as long as there is enough clearance space to accommodate the lamp size. 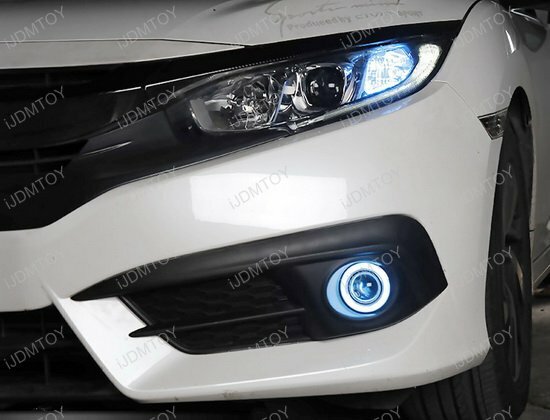 If your Honda came with the Sensing package, these LED angel eye fog lamps will not fit. 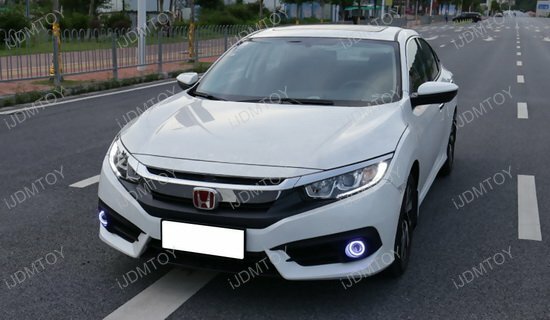 Q: How do I install the projector lens fog lights onto my Honda Civic? 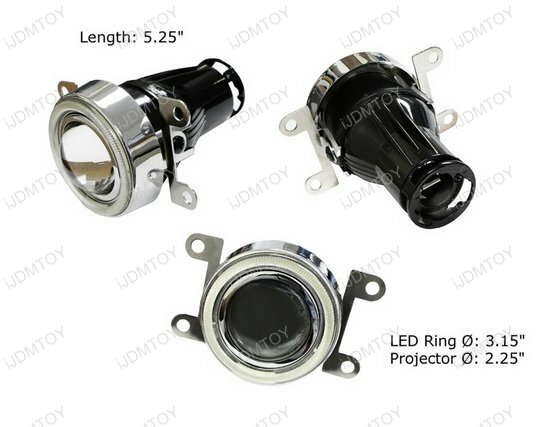 A: After removing your fog light bezels, you will first have to screw in the mounting brackets onto the projector lens halo ring fog lamps. 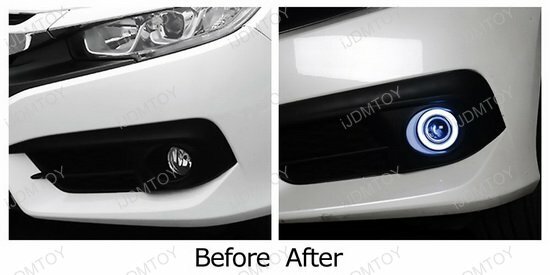 From there, you can mount the angel eye fog lamps by screwing in the bolts onto your existing mounting holes. 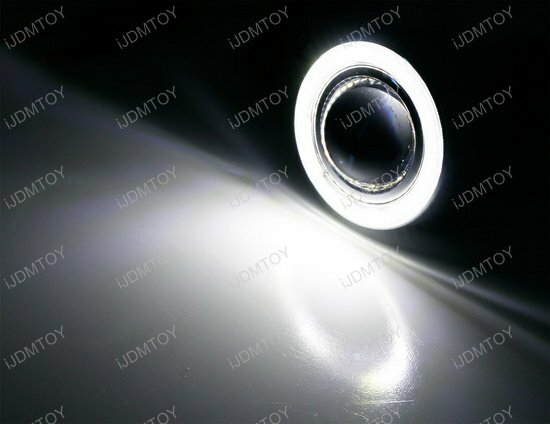 To adjust the fitment to your liking, you may add extra washers or trim the steel support brackets' mounting holes for a more even fit. 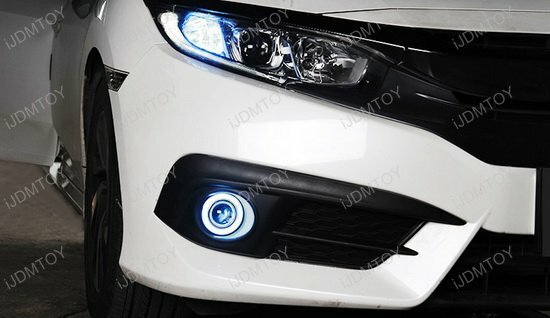 To learn how to power the LED halo rings and the included fog light bulbs, read the next 2 FAQs. 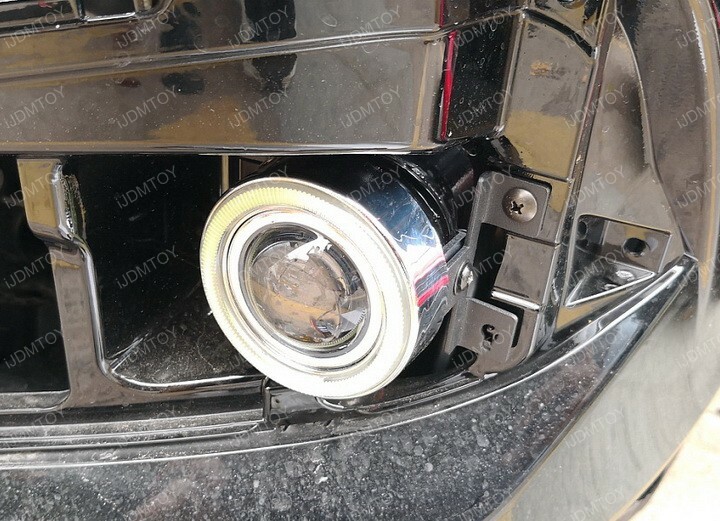 A: There are two wires from the LED rings, simply tap these two wires to any existing 12V power source such as ACC in fuse box, parking lights, side marker lights. 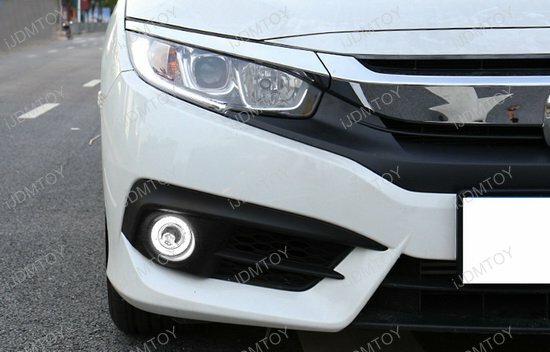 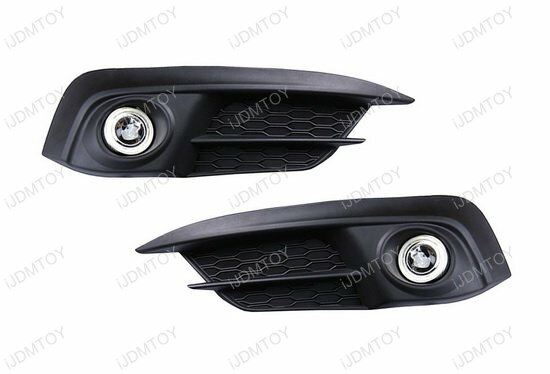 This page features a pair of LED halo ring/projector lens fog light with mounting brackets for the 2016-up Honda Civic Sedan/Coupe. 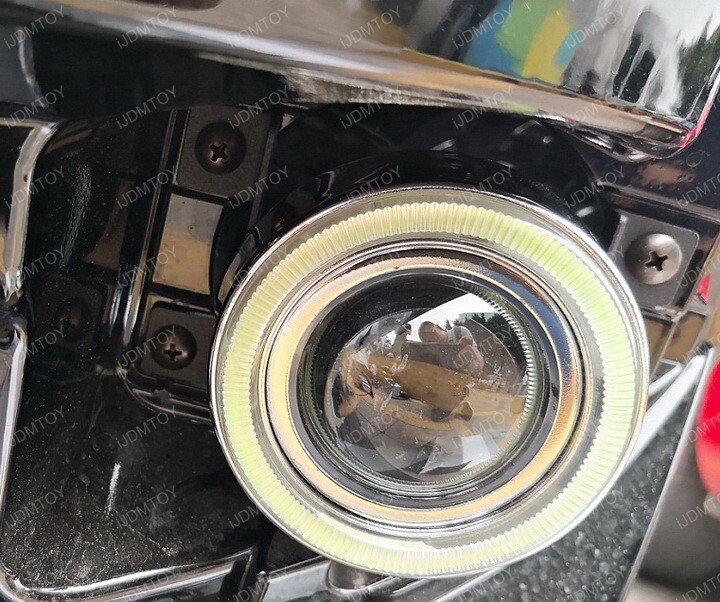 These fog lights are powered by 6000K xenon white LED angel eye halo rings with E-mark certified glass optical projector lens as well as a durable full metal body. 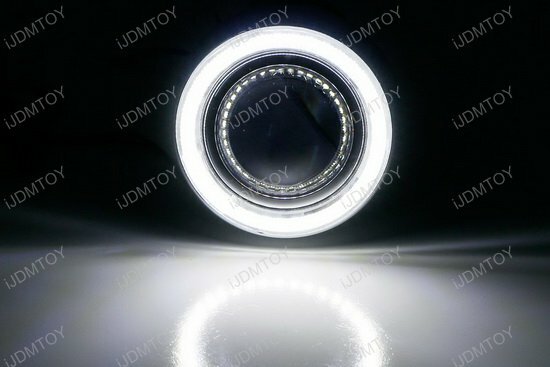 There is a cut-off line and the assembly is HID ready. 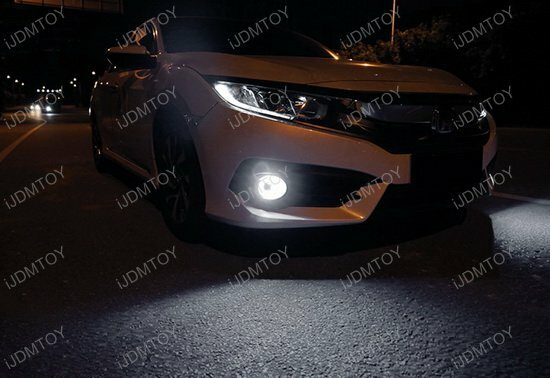 It's equipped with H3 halogen bulbs, but you can swap it out to the compatible HID bulb size which is 9006. 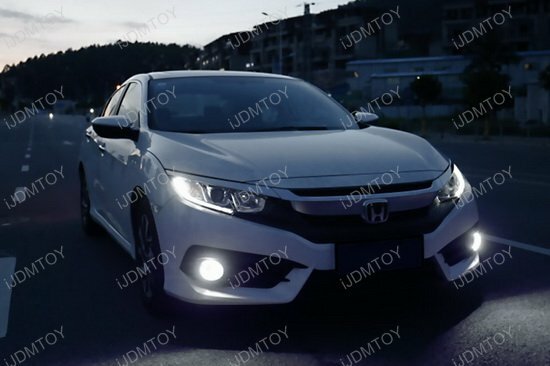 This kit comes with specially designed mounting brackets to allow you to replace the Honda Civic original H11 halogen lamps for a whole new look.